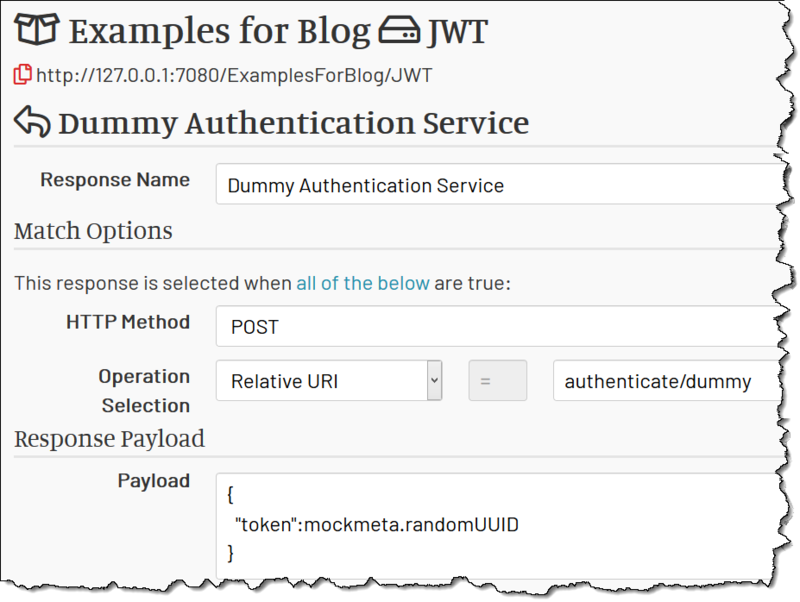 JWT is a simple way to support authorization and identification in web services. After decoding the token provided with a request, a service can say if this request came from a consumer that has a right to perform this call. This is the authorization function. It can also, if encoded in the token, see what is that consumer’s user id (or other credentials). This is the identification function. Before JWT many standards aimed to perform the same function, but they are bulky and inconvenient to use. (See SAML, for example.) JWT, on the other hand, is compact and can be built from basic JSON objects. Long story short: a client gets a token from an authentication server. The token is actually an encoded JSON object. With this token at hand, the client can call any service that supports JWT and trusts the original authentication service. Eventually, the token expires, and the client has to get a new one. 1 Client calls the authentication service, providing whatever credentials (username/password or whatnot) they have. 2 Authentication service generates a JWT token. If required, the user identity information is included into the token payload part. 3 The token is signed with either a secret password or a key pair. 4 The authentication service provides the token back to the client. 5 The client includes the token into every subsequent service call. The token is placed into the HTTP Authorization header. 6 The web service receives a token and verifies it. The token must have a valid signature and shouldn’t be expired or not active yet. 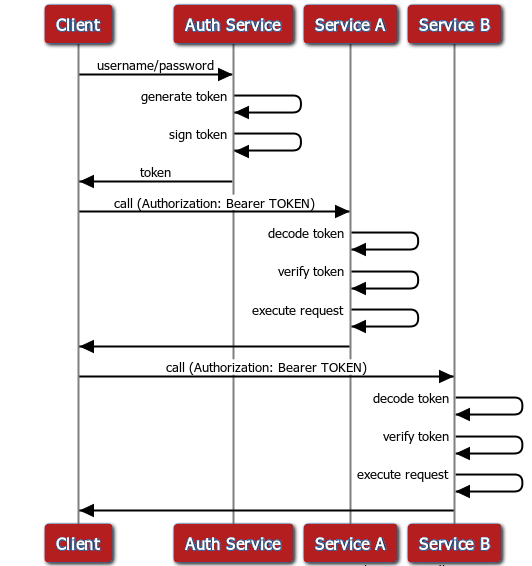 7 If required, the service extracts the caller identity information from the token payload part. In the simplest case, the target service is not concerned with the content of the token and only uses it as a proof of access rights (i.e. authorization). That is, the client performs the token verification, but doesn’t use any value from the token’s header or payload for its functions. All the information required for handling the request is in the request body itself. In a more complex scenario, the target service performs the token verification for access rights check, but also needs to extract some data from the token to execute the request. Since the token data are typically related to the logged in user, the extracted data are used for identification. For instance, a service call that modifies a customer profile may need, for audit purposes, to log who’ve altered the profile. 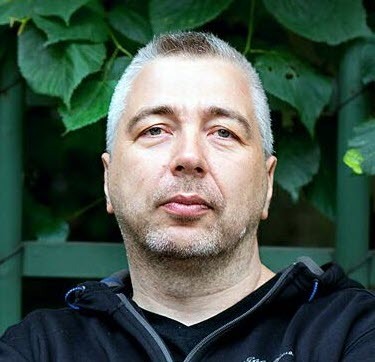 The token then may contain a user id of the person who initiated the request. The service reads the user id from the token and saves into the audit record. Since the token is signed, it is next to impossible to forge someone else’s id into the token. For more details on the available API, check out the documentation page. There are a few approaches to mock services protected with JWT. They range in required efforts. Which one to choose is your call, but if you have time, I suggest you always to implement the complete JWT solution (Generate and Verify below). With the full solution, you don’t have to worry that the implementation changes into decoding the token on the client or calling JWT services outside of your mock environment, and so begins to fail with mysterious errors. Many services that are protected by JWT don’t read the values (“claims”) from the token. When such services are mocked, they don’t need to handle JWT at all - the mock service ignores the Authorization header. Hence you don’t have to do anything in the mocks. The client sends the token, and the mocks ignore the token. In this sense, all mocks have a basic JWT support by default. If neither mock services nor clients decode the token, but you also need to mock the JWT authentication service itself, you can provide a random string as a token in the authentication response. The clients don’t try to parse that random string, sending it in the Authorization: Bearer header as is. The client request may look like below. The mock services ignore the invalid JWT in the Authorization header, so the request works anyway. Since mock services ignore the Authentication header, the system works - with the minimum efforts. Sometimes mock services need to read data from the token. For instance, JWT payload may contain a userid field, which mock services use to select the mock account. Or the client may decode JWT to consult its expiration time. Then, in the mock authentication service, you have to generate the JWT token correctly. JWT token consists of two parts - the header and the payload. 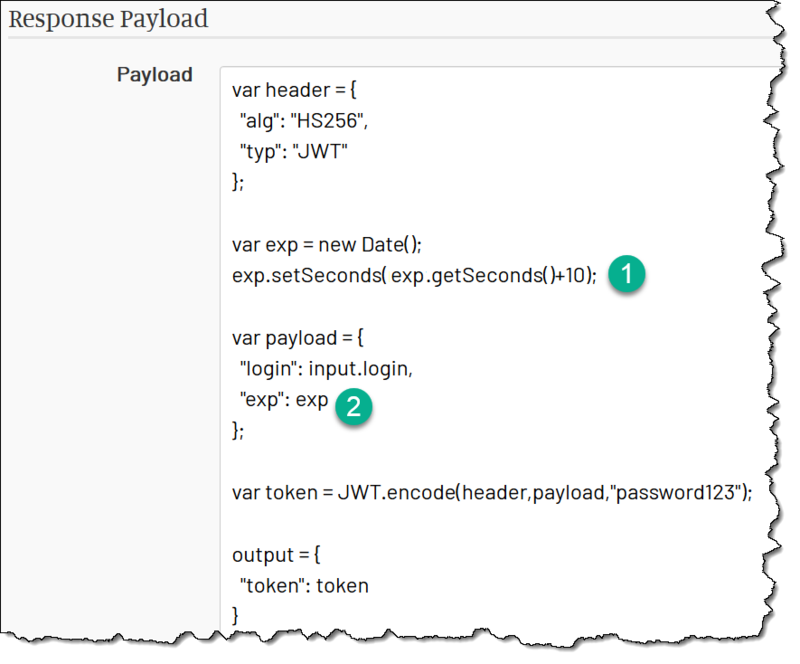 You define the signature algorithm (alg) in the header, and any data that are useful for services in the payload, and then encode them both with JWT.encode. You need to provide a secret (password) as the third parameter. 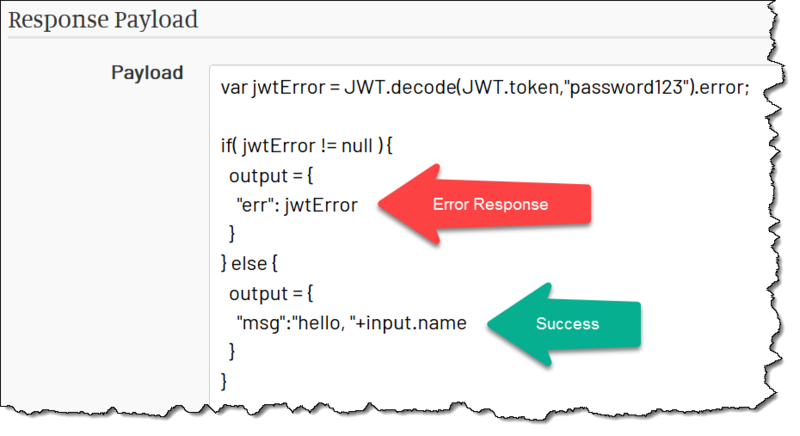 Once we generated the correct JWT with JWT.encode, there is only one step left to the full-functioning JWT security system: we need to verify the incoming JWTs. Why would we need to do that in mocks? One important scenario is to test the functionality or performance of code when a JWT expires. Typical code would have to handle this case gracefully, obtaining a new JWT from the authorization service and retrying the request; showing any errors to the user is a bad taste. First, we need to add expiration timestamp to the token when it is generated. Now we need to verify the token when it is sent in as in Authorization header. We pass the token to the JWT.decode function, providing our secret (password). If the token fails validation for any reason (including the expiration), the result will have the error message in the error field. 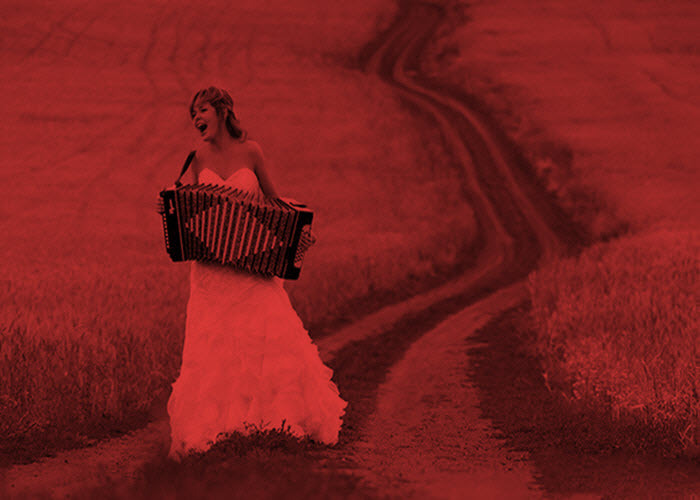 That field is assigned to the jwtError variable. Usually, you have multiple responses that are under JWT authorization. It is annoying (and not efficient) to verify the token in each response separately. There is a better way. Have a dedicated “Verify Token” response and place it first in the responses list. That response returns HTTP 401 if the token is not valid. If the token is valid, the response doesn’t match, and MockMotor proceeds to check the next response. 1 Match Any HTTP method. We verify tokens for all methods. 2 Do not use Operation match - we verify all URLs. 3 Make Script result in true if the verification has failed. Then, in all other mocks, you should assume the token is valid because it has been verified already. For your reference, the demo mock environments contain a couple of services that illustrate working with JWT. A service called JWT has responses that generate JWT token (fake and real) and respond to a business call protected with JWT token (ignoring the token or verifying it). Another service, ETLWorks, simulates a real-world service from a cloud-integration provider ETLWorks. That mock service contains its own authentication URL that generates valid JWT tokens, a JWT Verify response that protects all responses below it and a couple of business responses that use the data from the token payload. As such, it is a ready-to-use framework to build your own JWT mock services.